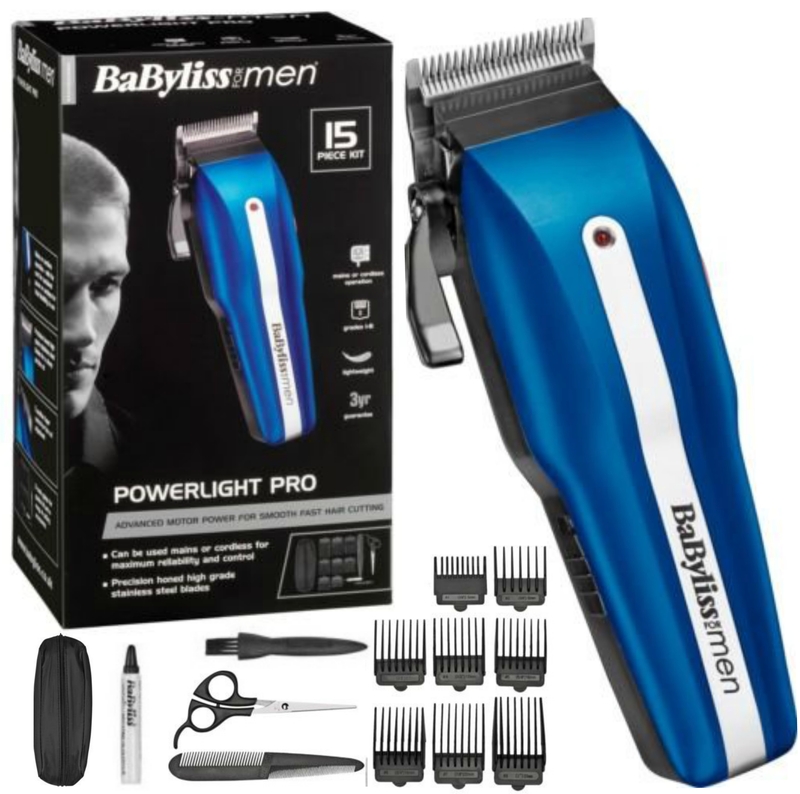 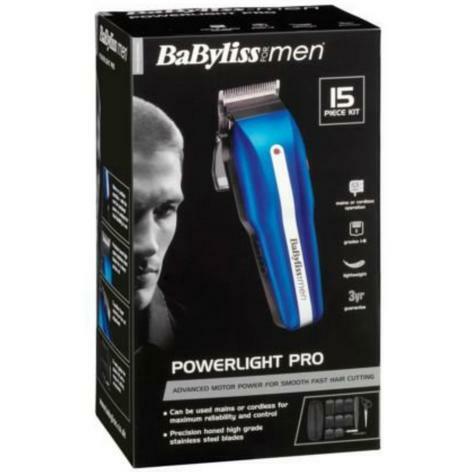 BaByliss For Men Powerlight Pro includes everything you need to achieve a professional cut from home and is ideal for the whole family. 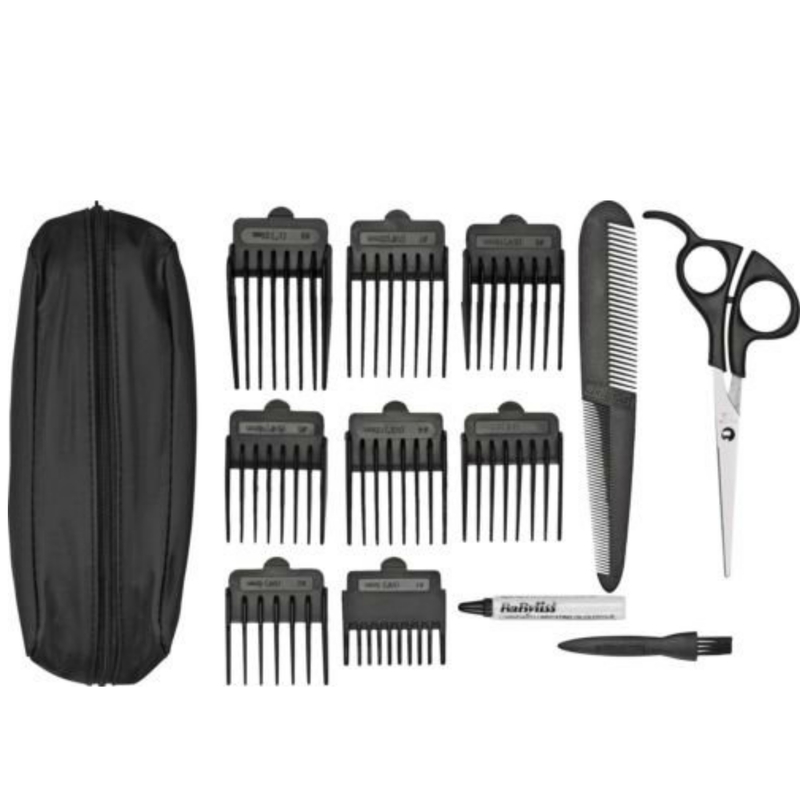 The mains/cordless clipper offers sustained power but with the freedom and flexibility of cordless use, with 8 comb guides for a variety of cutting lengths. 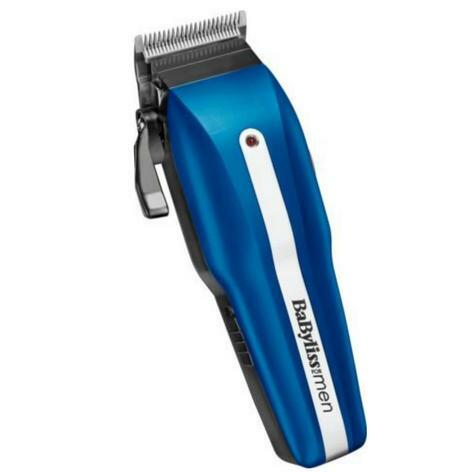 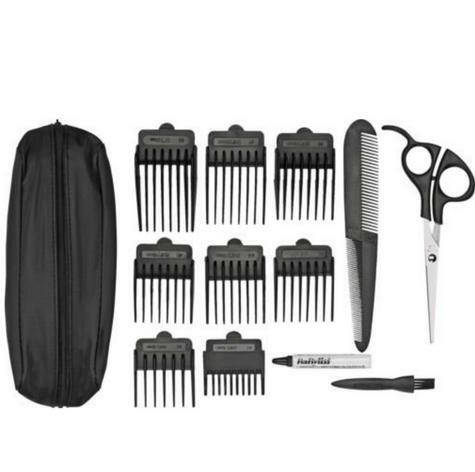 Product Features Corded/Cordless Clipper Precision high grade stainless steel blades for extreme sharpness Advanced motor power for smooth fast cuttingr 8 clipper cutting guides Includes moustache comb Scissors Cleaning brush Oil and storage pouch.